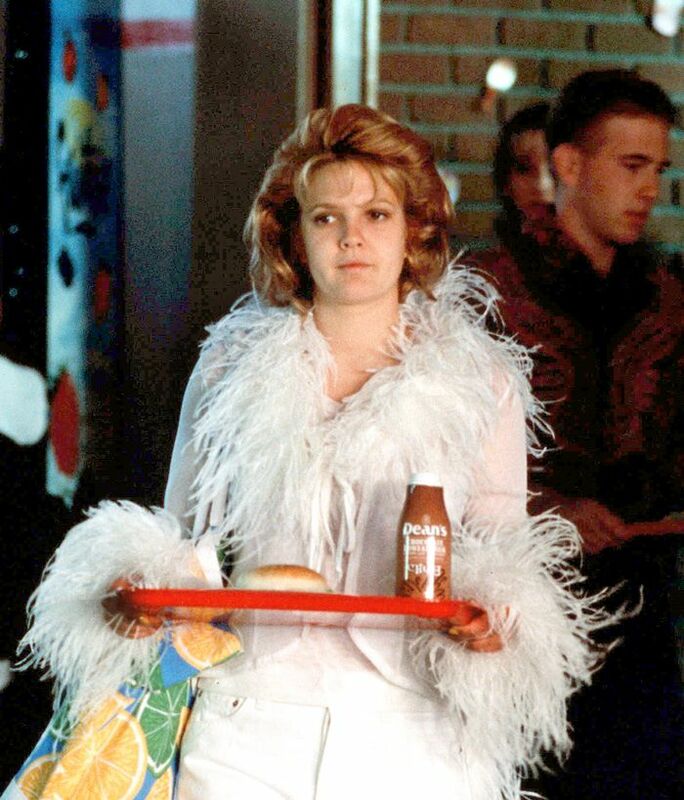 It's been two decades since 1999's Never Been Kissed was released, but don't let that fool you into thinking we had completely forgotten about Drew Barrymore's style in the movie. It may not be the most remembered of '90s-era movies (we see you, Clueless), but it was nonetheless filled with style moments that you'll soon see are just as relevant today as they were then—specifically, the outfits Barrymore's character wore. If you have never seen the movie or it's been years, it follows Barrymore's character as a 20-something reporter who goes undercover as a high school student as research for a story. While attending English classes and attempting to find an in with the cool girl clique at her new school, we see her character, Josie Geller's, outfits start to conform to the '90s teenage girl aesthetic that consisted of things like cardigans, slip skirts, and other items you'd easily find in the closets of fashion girls today. The point I'm trying to make is that Never Been Kissed–era Drew Barrymore is actually a wealth of '90s style inspiration that I think you'll agree with me feels relevant today, too. Keep reading to see which trends she wore in the movie and shop the 2019 versions of each. Despite the angst-infused frown Barrymore's character is wearing here, we're still so into her feathery white concoction of a top. It was likely so extra set against a 1999 high school cafeteria, but for 2019, feathers are a fashion girl's best friend. To be honest, if the exact top were available today, we'd have already added it to our carts, but alas, the internet is rife with pretty options, some of which you'll find below. Romantic white floral tops may not have been as ubiquitous as they currently are when Barrymore styled them in Never Been Kissed, but this is proof that the breezy piece makes for the perfect match to jeans. 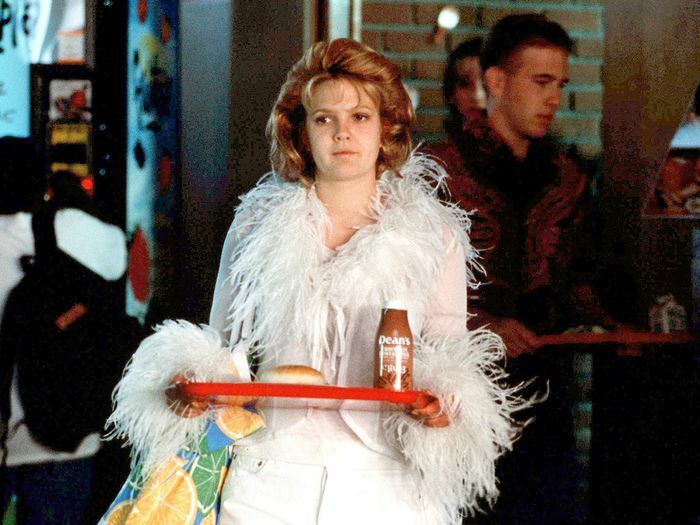 Did Barrymore and her teenage crew time travel to 2019 when filming Never Been Kissed? From the look of it, yes. How else would they have known that wearing your cardigans buttoned all the way up as a top was the coolest thing since sliced bread? We're way into the styling here with slip skirts (so very '90s) and the array of colors they chose for the knits. For more of the film fashion icons we love, here's why we're so into Diane Keaton's outfits at the moment.